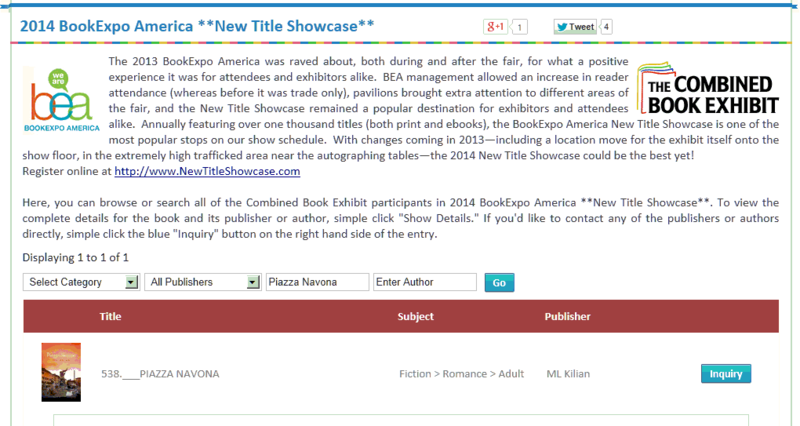 I am happy to report Piazza Navona is now listed on the Book Expo America 2014 online catalog as an official participant of the event. I hope many of you locals or not, get a chance to attend and see for yourselves how amazing Book Expo America is, giving every author an opportunity to promote their newly released titles. I am excited indeed about the event. And perhaps I will see you there.